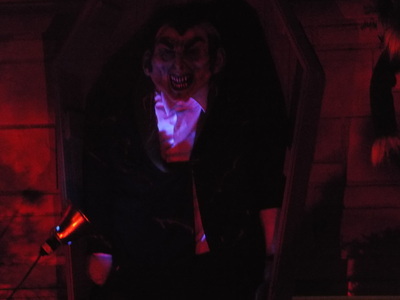 We are happy to say that, while still small, Haunt on Massasoit did double in size from 2012 to 2013. 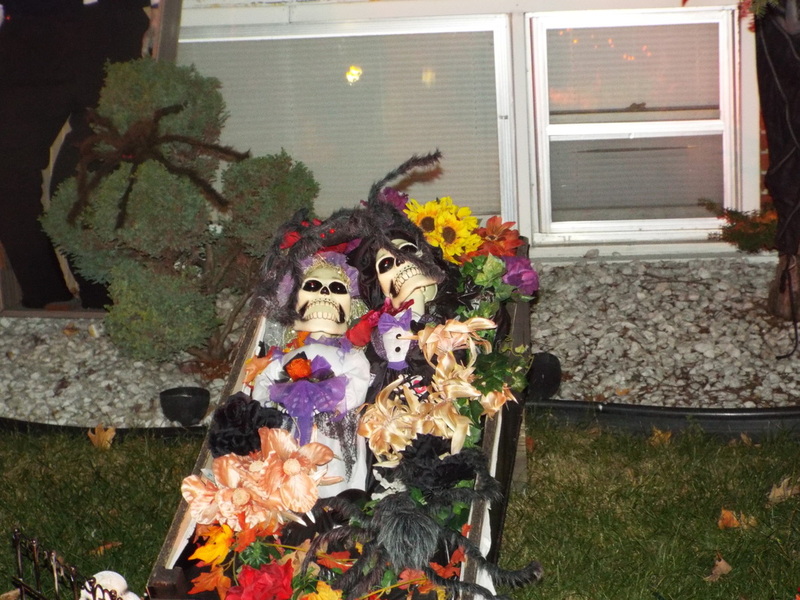 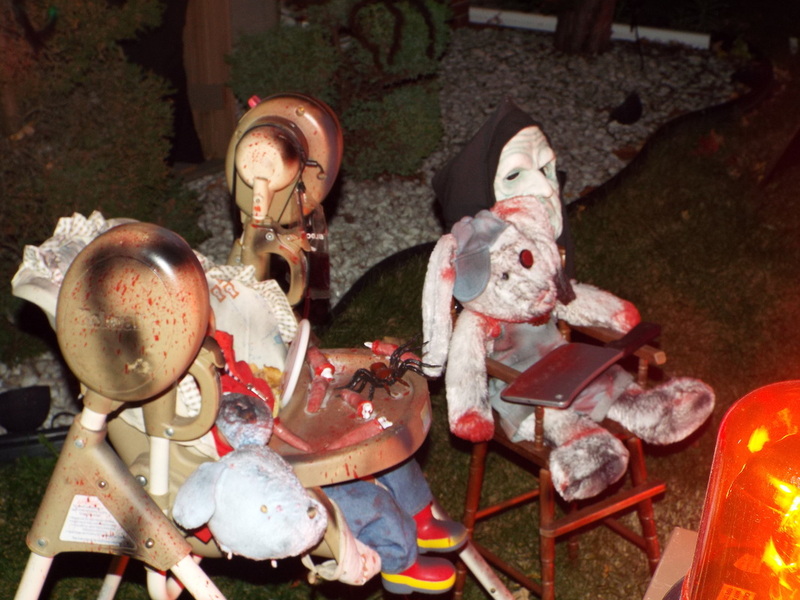 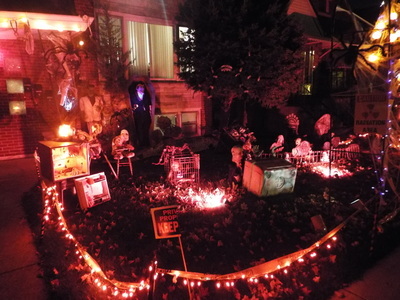 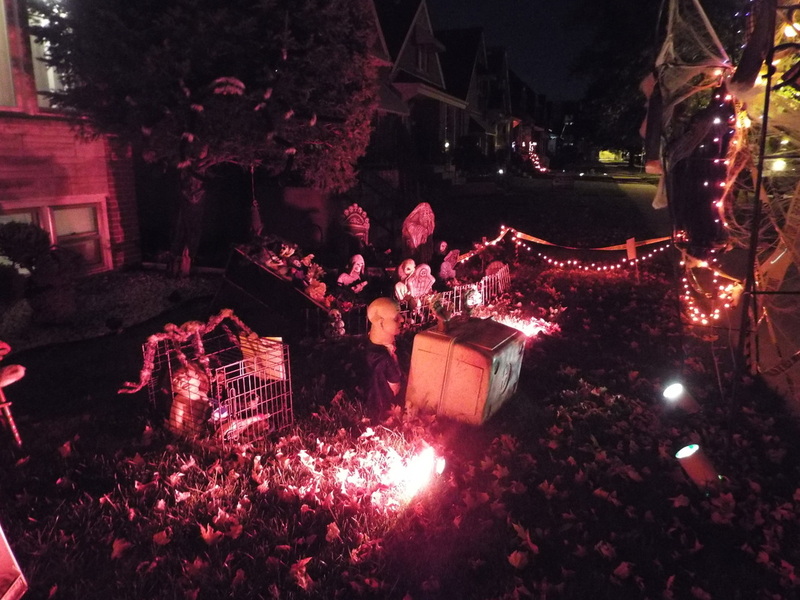 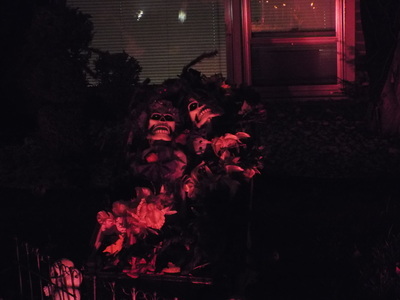 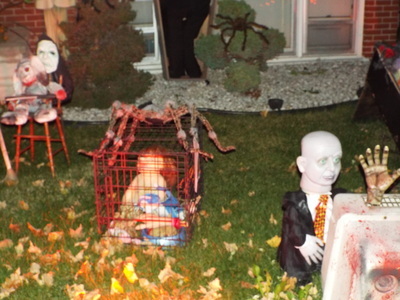 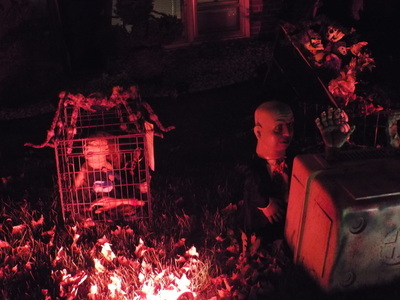 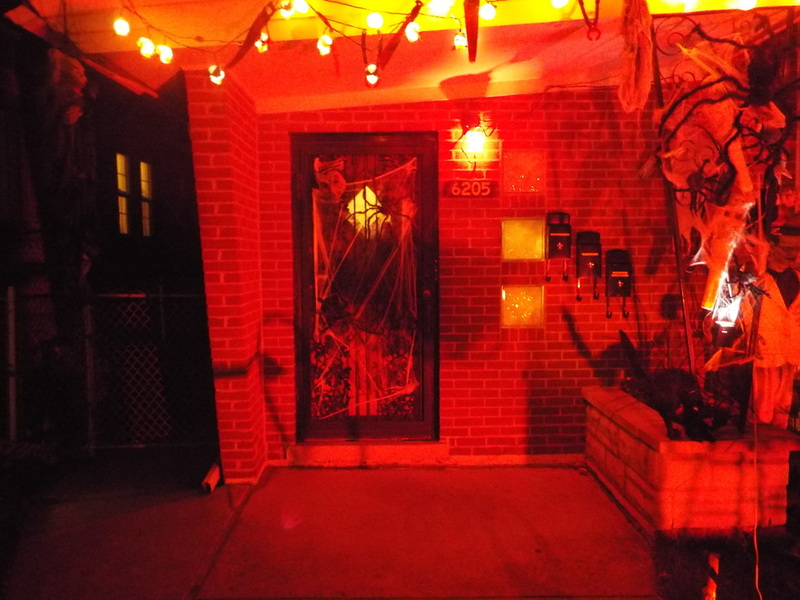 This year featured more themes, including some creepy miniature skeletons surrounded by flowers, lying in a casket, various body parts that appeared to have been cooked in a microwave, a giant spider hovering over a cage with a head in it, and even a bloody bunny rabbit in a high chair, sitting with a meat cleaver on it's lap. 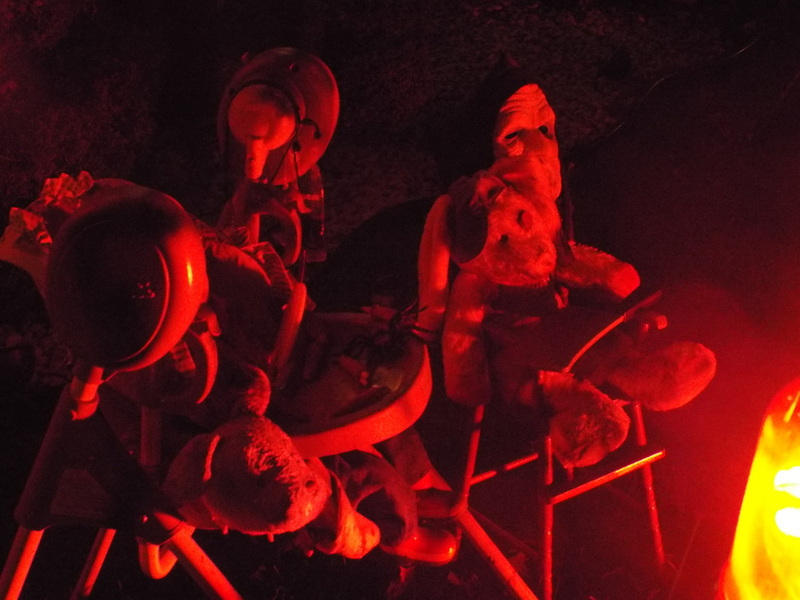 We're not sure what that was about, but extra points for weirdness! 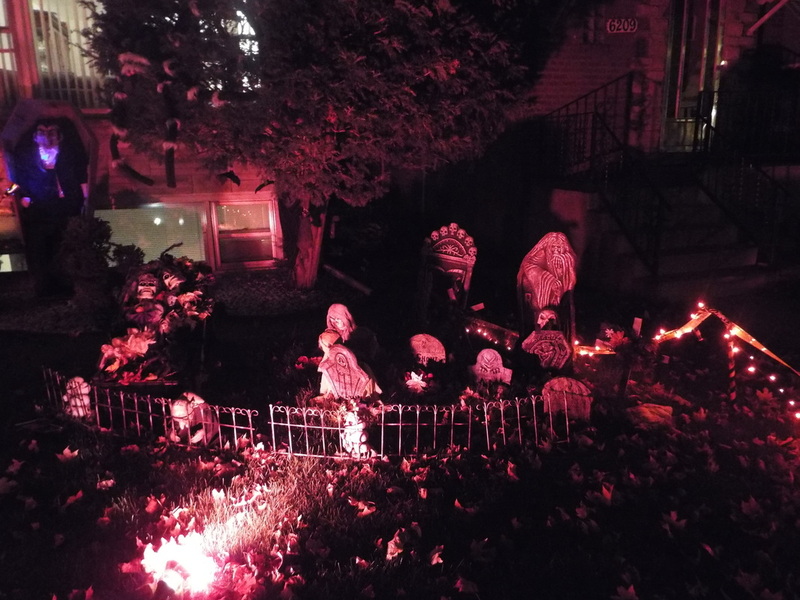 Extra points also for the eerie red lighting covering the entire display. Overall, this haunt is worth a look if you're in the area or if you're looking for something that's not too scary or too large. 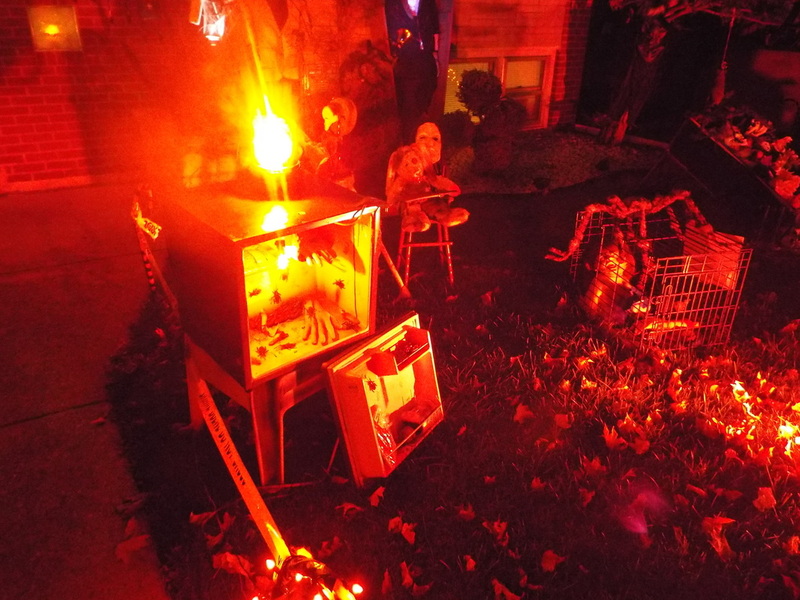 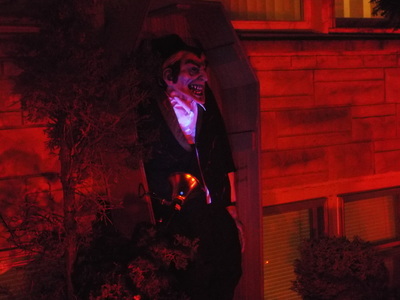 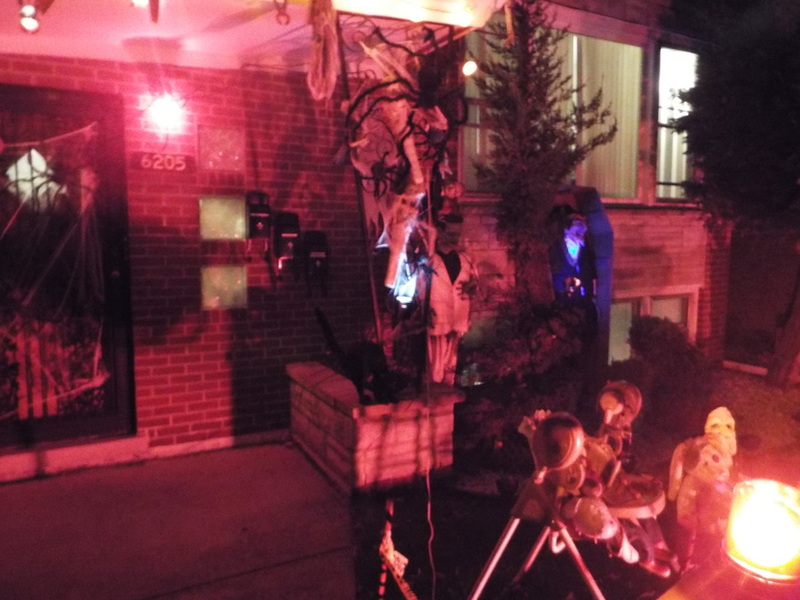 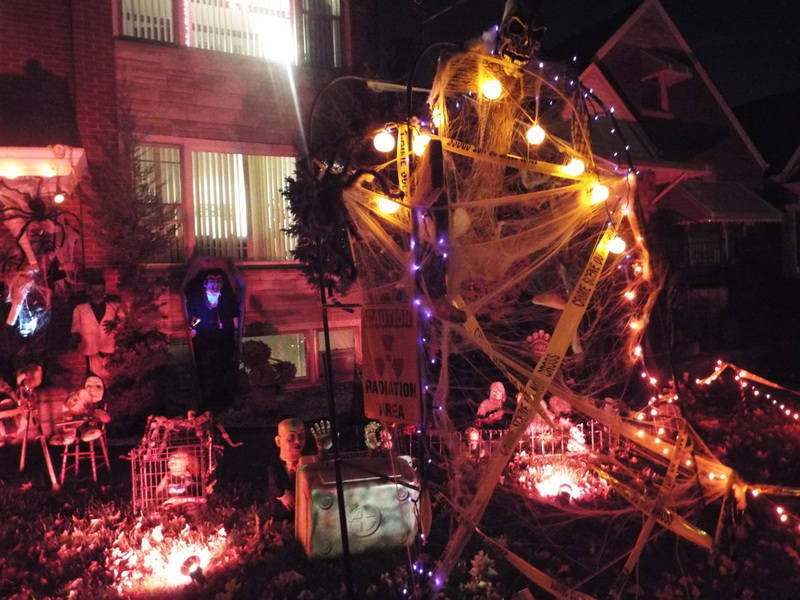 We hope that this haunt keeps growing each year.